If you’re a photographer, you know one of the hardest techniques to conquer is self portraiture. 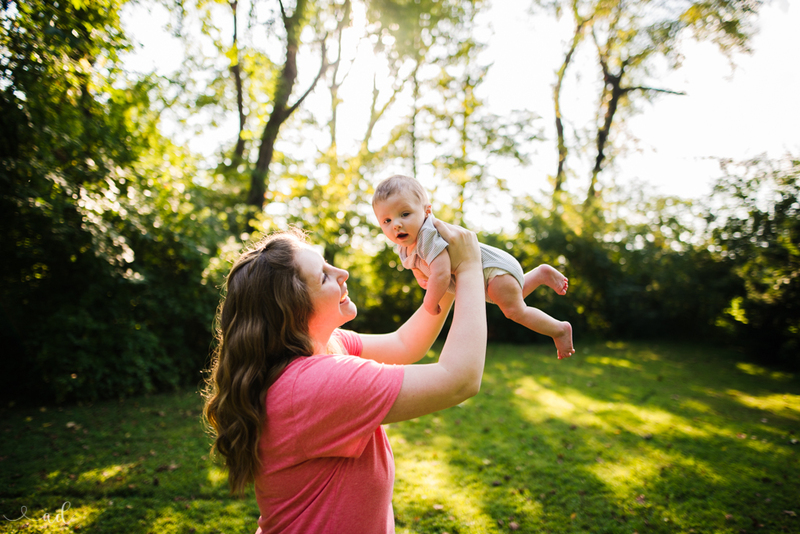 Let’s be honest, our hearts skip a beat when we take pictures of our kids or clients. But when we see a photo of ourselves? Well, we start to critique and we start to critique hard. Perhaps it’s because you haven’t lost those 40 pounds you so wish you could lose. Perhaps it’s because you really have no self love for yourself (and if that’s the case, stop reading this right now and go do something for you because you deserve it and you are beautiful). Or maybe you find it hard to get in the picture. Whatever the reason is, stop it. You are beautiful. You are loved. You are cherished. Your kids will want pictures of you one day. They will want to see what you look like. And you know what? They WON’T care about that 40 pounds you never managed to get off. They just won’t. They will care that you are in photos with them. 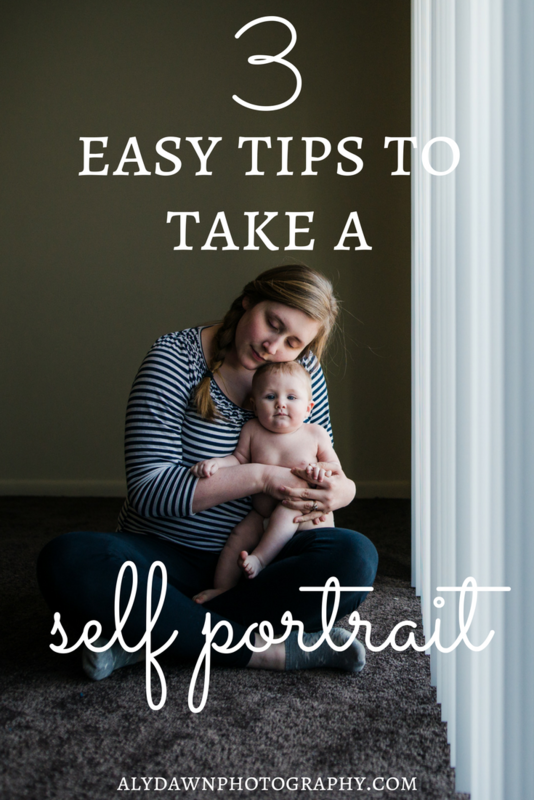 I have 3 tips to help take self portraits and to make it easier. Before we get started, I thought I would talk about the necessities you need in order to take a successful self portrait. Some of these are not essential to your success, they just make the job a lot easier. I’ll show you what I have. A DSLR – I have the nifty Nikon D610. I absolutely love this camera, it definitely does what I want. It has a lot of buttons to control your settings. I especially love how easy it is to control my white balance and ISO. But a simple DSLR will work, like a Nikon D5100. Whatever you have as your camera (assuming it’s a DSLR) will work! A Tripod – I am still on the fence about if I like my tripod or not. I LOVE tripods … but I haven’t found the one for me. The one I am currently using is a little broken, but it still works. If you don’t use a tripod, try putting your camera on any safe surface. Such as your desk, chest of drawers, piano bench, couch, tv stand, counter, books, etc. If you are tight on money, don’t fret. Any of the things I mentioned will work. A Tripod is just slightly more useful because it allows you to angle your camera however you want. Comes in very handy. A Remote – not a requirement, but certainly helps. I like using my remote to enable the self timer. Then I don’t have to constantly get up and push the button, I can stay in my spot and just simply push the button on the remote. Makes it a much more enjoyable experience. Your lovely self – this should go without saying … in order to take a self portrait, you need yourself! A few things to note: You don’t have to look amazing. Sometimes the beauty of a self portrait is the honesty behind it. That being said, it can be fun to dress up sometimes and get in the frame! Alright, now that I got the list of lovely things you need in order to take a successful self portrait, let’s dive into some nifty tips on getting the look you want. I love using a tripod. But if you don’t have one, anything will work! I have set my camera on books, my desk, tv stand, mantel, stairs, counter, table, anything stable will do. Make sure it is stable, I don’t want any camera’s breaking! The trick here, and it’s a favorite of mine, is to stand where you want to stand, camera in hand. Then, and here’s the magical part, you focus on where you are going to put your camera (the tripod, the counter, the stack of books, etc). Focus on where your camera is going and set your focus to manual focus. Not sure how to do that? Look it up in your manual! Mark the spot where you are standing, sitting, etc. Make sure you go back to that same spot. Next, set your camera on your tripod, table, etc. and go back to where you marked your spot. Use your timer or remote shutter and ta-da! You are in focus in every shot. Such a fun trick. This is probably the number one thing I do when taking a self portrait. Whether it’s really considered as a ‘self’ portrait or not is entirely up to you! But, hand the camera over to someone. First thing you want to do is have them model for you. Get the settings the way you want them. Take a test shot and make sure the image looks the way you want. Then I like to show the person helping me the image I took. I’ll tell them, “focus in the middle” or “put the little square on my face” etc. I will tell them EXACTLY what I want! That’s the key here. I show them how to focus. I give them pointers on how to get the shot that I want and what I would do. I also fully encourage taking a lot of images. My husband has a hard time with this. He sometimes only takes one image and then that one image doesn’t turn out. Since they are new to a camera this big, I really encourage them to take as many images as possible. Then, ONE of them will for sure turn out. What I mean by this is don’t just smile at the camera. Sure, it’s fine to have photos like that. But do something else in your other photos, as well. Hug one of your children. Show yourself doing the dishes. Show yourself playing with your kids. Do something in your photo. It helps make self portraits less stiff and more genuine. It helps you photograph who you are. I love holding my baby boy. It gives me something to do and helps my arms look less awkward. 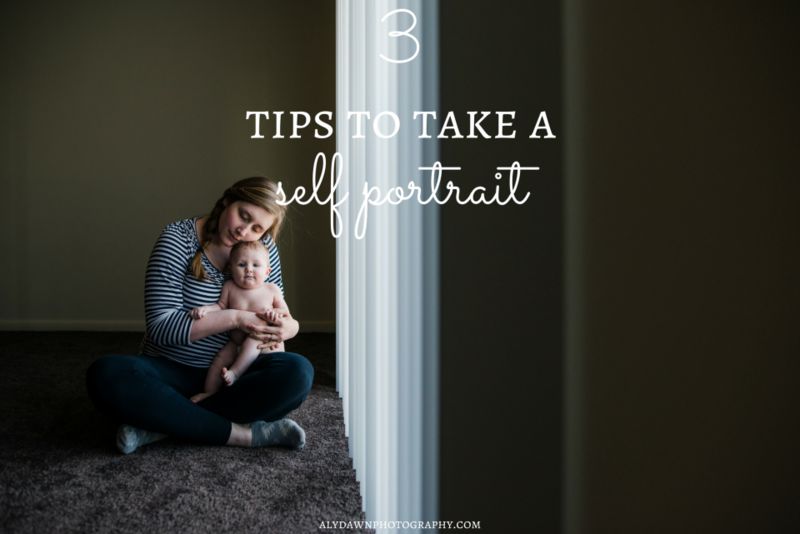 I really encourage each photographer (and mom, for that matter!) to get in the frame. Not only does it encourage creativity (trust me, try getting in the frame and you’ll see what I mean) but it also helps photograph you. You’re important, too. You were there, too. Hand that camera over. Set up the tripod. But the camera on a ledge or counter. GET IN THE FRAME. I cannot stress it enough. It is so important in your photography career. The more you do it, the better your self portraits will get.